Introducing the new, MilSim West ENHANCED BAOFENG RADIO POUCH. 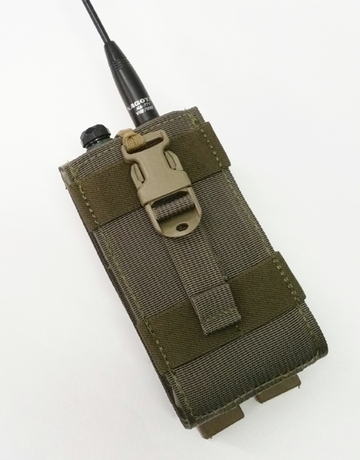 In 2015 MilSim West came out with the Baofeng Radio Pouch, the first mil-spec, commercially available, pouch for the extremely ubiquitous Baofeng radio. Now, two years later, with thousands sold, it’s time for a redesign based on end-user feedback during extensive real world use. The Need: The Baofeng UV5R is an extremely ubiquitous radio used around the world, both for hobby and professional usage. They are inexpensive, easy to program, but due to their compact size they don't fit well in standard radio pouches. Until now there has not been a commercially available radio pouch specifically sized and purpose built for Baofeng style radios. 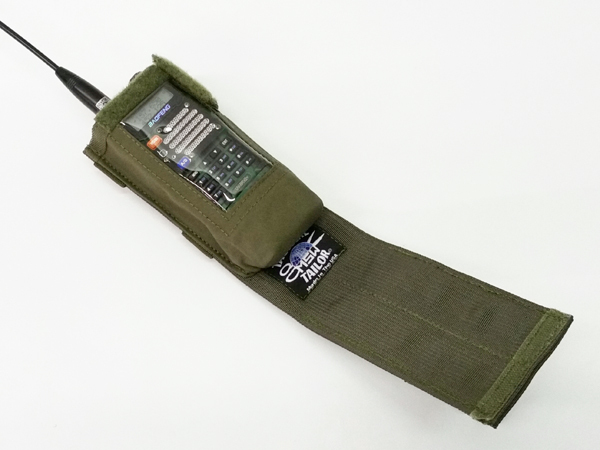 The Solution: Sized for Baofeng UV5R series radios with the extended battery pack, the MilSim West Radio Pouch is specifically designed for the needs of users from all ends of the spectrum, whether it be a warfighter, a downhill skier, or a mil-sim enthusiast. The MSW Enhanced Baofeng Pouch's fold down design, with vinyl window facilitates viewing the radio's face and channel selector. -Velcro on the Inside of the Pouch to prevent “side to side” wobble caused by heavier antennas. -Opening on the side to accommodate accessory connectors without removing the radio from the pouch. -Still fits the Baofeng UV5R radio WITH extended battery. -100% made in the USA from 100% American materials. Pouch fits all UV-5R and UV-5RV2+ series radios.